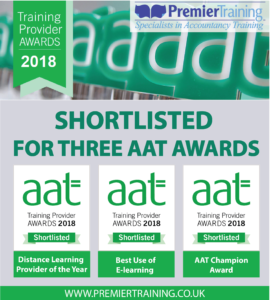 We are so proud and thrilled to announce that Premier Training has been shortlisted for three AAT provider awards. 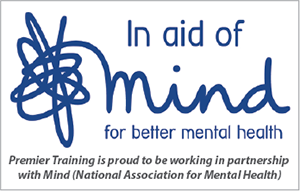 We would like to take this opportunity to thank our amazing students for their continued commitment and hard work. Without our dedicated team of staff, none of this would be possible so we would also like to thank all our staff for their hard work and dedication. It really shows that teamwork does pay off. 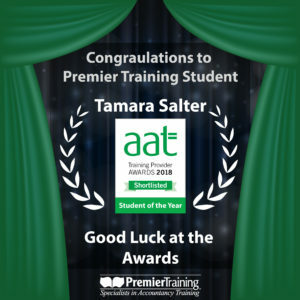 We are immensely proud that Tamara Salter has been shortlisted for AAT Student of the Year. She really is an inspiration and her hard work and dedication has proven that anything is possible. We congratulate you and wish you all the luck at the awards.